Let's thank our Sponsor, Stuck in Books! 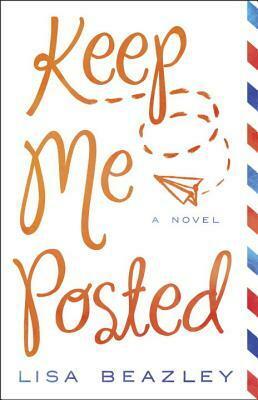 I have one print book to offer for this hop, and that is Keep Me Posted by Lisa Beazley, where old fashioned love letters are exchanged between sisters in the heighth of our internet, intentionally! This book may not be exchanged for cash or anything else. Just fill out this form and you'll be entered! Do as much or as little as you'd like. The more you do, the more entries you get! Good luck and have FUN! Now HOP on to ALL these other blogs!